The Scholarship of Technology Enhanced Learning: Reimagining SOTL for the Social Network Age. Thomas Cochrane is an Academic Advisor and Senior Lecturer in educational Technology at AUT University’s Centre for Learning and Teaching (CfLAT). In 2011 he was awarded as an Ascilite Fellow http://www.ascilite.org.au/index.php?p=awards. His research interests include mobile learning, social software (web 2.0), communities of practice, and the scholarship of technology enhanced learning (SOTEL). His PHD thesis was titled: “Mobilizing Learning: Transforming pedagogy with mobile web 2.0”. Thomas has managed and implemented over 50 mobile learning projects, with a recent focus upon Android and iOS smartphones and the iPad as catalysts to enable student-generated content and student-generated learning contexts, bridging formal and informal learning environments. Thomas has a peer-reviewed research portfolio spanning 38 journal articles, 22 book chapters, and over 100 conference proceedings (http://goo.gl/maps/YxkYP), receiving best paper awards at Ascilite 2009, ALT-C 2011, ALT-C 2012. He has been invited to keynote at several international educational technology conferences including: the 2012 Australian Moodle Moot, the 2012 m-Libraries conference in the UK, the launch of UWS massive iPad project in February 2013, the 2014 IBSA VET Practitioners Conference in Melbourne, and an invited speaker at EdMedia2014 (Tampere, Finland), and an Educator In Residence at the Disruptive Media Learning Lab, Coventry University in September 2015. Thomas was an invited keynote at the University of Western Australia’s Mlearning Summit in September 2016. In 2017 he was a member of the team winning the AUT Vice Chancellor's Teaching Excellence, Teaching Innovation Award. 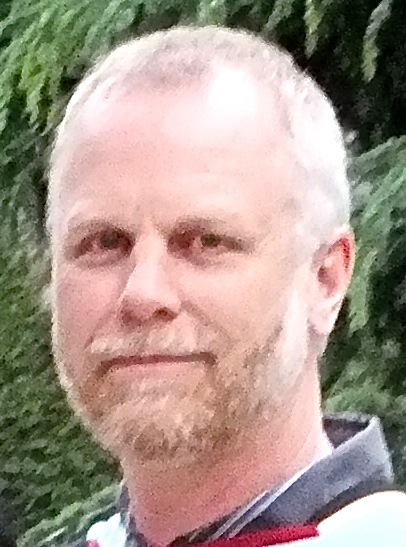 Thomas is an AJET Associate Editor, an editorial board member of BJET, RLT, EdeR, and IJMBL, and the coordinator of the Ascilite Mobile Learning Special Interest Group. He is a regular reviewer for a number of educational technology journals including: AJET, CHB, IJMBL, JCHE, UAIS, and TLT. Thomas was accredited as a Senior Certified Member of the Association for Learning Technology (SCMALT) on 6 June 2018.